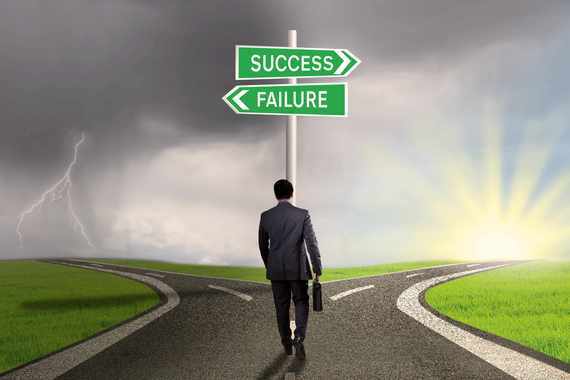 Why Do Some Businesses Fail and Other Succeed? In this article, I will discuss three key reasons why businesses fail and how to avoid these failures from happening. Then we will discuss why some businesses succeed. At face value, many of these businesses fail due to lack of cash. When digging deeper into the culture and business practices, the true reason for its demise comes to the surface. The reason why they started the business in the first place is lost prior to running out of cash. It has been stated that about 50% of new businesses fail their first year. However, only 30% do, according to the Small Business Association (SBA). They further state that it does increase to 50% within five years, then to 66% within 10 years. Lack of planning, poor customer service, and premature expansion are three key reasons why many businesses fail. “If you fail to plan, you are planning to fail!”, a quote by Benjamin Franklin summed it up precisely. Ask any successful entrepreneur, and most, if not all, will tell you that they owe their success to methodical and careful planning. Unfortunately, many businesses fail due to bypassing this crucial step. Solution: Regardless if you are a lone entrepreneur or a large corporation, having a business plan is critical. Business plans are strategies and future objectives with a concise plan of action for achieving them. Why is having a poor customer service on this list? The importance of an exceptional customer service versus a good customer service can be measured by your profit margin. Having an exceptional customer service reputation will grant loyal customers for years to come. Having poor customer service trickles down from poor leadership. Training, strategies, and priorities are implemented by the leaders of the company. If customer service is not being enforced, then your company will reflect poorly in the market and more importantly in your profits. Every successful business needs to expand and grow. Growth has to be timed and measured. Rapid expansion happens when success growth is confused by the business owner on how fast they can expand their business. Bankruptcy has been a cause of these rapid expansions. Solution: As part of the strategy section of your business plan, implementing a measured strategic plan for slow and steady growth is recommended for long-term success. Keypoint: As I make the transition to successes, I find a keypoint of interest to be business paradigms. In general, the new business paradigm is knowing who you are and what your company stands for. Is the paradigm shift the culprit of why some business succeed and some fail? The type of industry you are in is also a factor. The healthcare industry and companies that sell US medical supplies have better statistics than the retail industry, especially recently. Successful companies with clear and specific written mission statements have often benefited by using it as a roadmap for success. The mission statement’s sole purpose is to provide strategic short-term and long-term objectives. It is to be used by employees and stakeholders as a template for decision-making and an indicator of where they stand with the company. One key denominator of successful companies is that they retain loyal employees. Exceptional companies who started their business to help solve a specific need often attract like-minded people whose personal beliefs align with your company’s beliefs. When these two beliefs match, it’s not difficult retaining loyal and happy employees. In the past few years, we’ve seen significant paradigm shifts in various industries. Successful companies adapt well to change, customer needs, new technology, and competitors climbing the social ladder. Having a pulse in your industry, as well as surrounding industries, will yield greater long-term profits and success. To thrive in today’s competitive marketplace, company trends and knowing your market is crucial. Generation Z and how to sell to this generation, Artificial Intelligence (AI) technology to improve knowledge of market and sales, integrating the sales and marketing departments, and sales strategies for sales growth are the trends to look forward to in 2019, according to a recent Forbes article.